Top-selling established writers and brilliant newcomers both appear regularly in the online magazine, "Jim Baen's Universe," edited by Eric Flint, creator of the "New York Times" best-selling "Ring of Fire" series. Now, editor Flint selects a generous serving of the best science fiction and fantasy stories that have appeared in the magazine. Hugo and Nebula Award winners such as Mike Resnick and Gene Wolfe are on board, and so are best-selling writers David Drake, Gregory Benford, Esther Friesner and more. 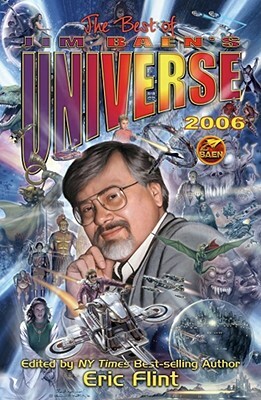 "Jim Baen's Universe" is already a resounding hit on the internet, and is certain to be equally popular in the uncybernetic realm of paper reading as well.